Is Bitcoin A Bubble About To Burst? At a recent price of $4,600, Bitcoin is up 800% over the last three years. 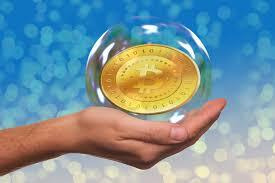 Some bullish pundits suggest that Bitcoin may be worth far more in the future. By comparing Bitcoin to past bubbles on the chart below, you can decide for yourself how Bitcoin looks in comparison. One thing we know from experience: Bitcoin cannot defy gravity forever. At some point, what goes up, must come down. Investing involves risk including possible loss of principal. This information is provided for educational purposes only and should not be construed as research or investment advice, and is not a recommendation, offer or solicitation to buy or sell any securities or to adopt any investment strategy.